Vintage style-In full 2018 many people want to give a vintage touch to their homes; and it is that this style is so delicate, sublime, that it never goes out of style. However, many times, not knowing what are the elements that should be used, the type of material, colors, among other things; The true objective of a vintage style is lost. The first thing to keep in mind is the time we are talking about. When we talk about vintage type decoration, we do not talk about the 60s, much less the 50s. This style is focused on the 30s and a little of the 40s. So, in this opportunity, here at Visita Casas, we will explain everything you need to know about the vintage style and what you need to decorate your home with the elements of this type of decoration. So keep reading. The vintage decoration, as we mentioned before, is inspired by the fashion of the 30s and 40s of the 20th century. It is a very elegant and sophisticated style; likewise, delicacy is something that comes out of its elements. This elegance accompanies from the furniture to the decorative elements; each of these components is what helps to give life to any space that has the vintage style. However, not many people achieve this style. Why does this happen? Because you have the misconception that in this style of decoration you need a lot of old decorative elements to make it work; when in reality, it is not like that. Therefore, the first thing to learn is to recognize what are the elements, furniture, and colors that should be used in this type of style. Within the color palette that you should use in vintage decoration, pastel colors stand out, especially blue, pink, yellow, green and earth tones; and of course, white. Whether you use them on walls or on furniture, these tones are perfect for this style of decoration. From the lamps, tablecloths, and upholstery, these colors are in perfect harmony with the decoration. But, it is necessary to emphasize, that, as for the furniture, they are used usually, wooden furniture, but of mahogany, walnut tree and cherry tree. So you have to be attentive and know how to unify the secondary colors with the wooden furniture if you are going to use their natural tones. If you feel bold, the tones that we mentioned above, you can use them to paint your furniture. But remember, the ideal is that you give an “old” tone; below we explain how to do it. As for the decorative elements, you can use flowers, but with soft tones; also uses embroidered or lace tablecloths, floor lamps, and curtains, but transparent. 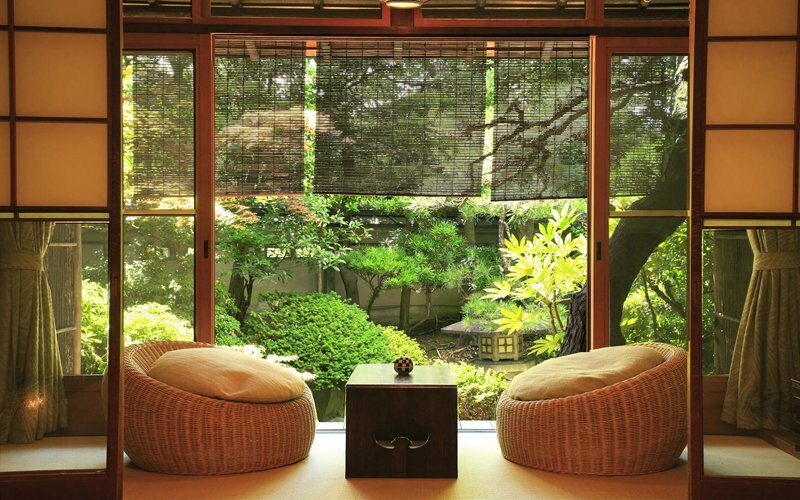 It is important that sunlight enters the house so that the spaces look spacious and clean. Do I use wallpaper or not? One of the big questions that people who decorate with the vintage style have is whether or not wallpaper should be used. The answer is simple: if you want to use it, do it. But, the wallpaper must be in accordance with this style, for that reason, pastel colors with a floral theme are perfect for this type of decoration ; keep in mind that when choosing the wallpaper, lean for those who have small or medium flowers. You can decorate all your walls with the wallpaper; but if you want to save some money, then, just choose one wall and the rest paint it. Depending on the dominant color of the paper, paint the rest of the walls so that they blend perfectly. 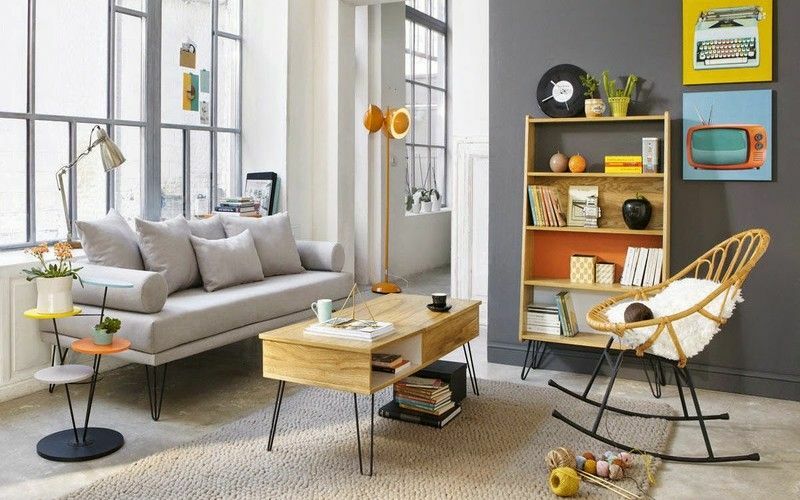 Now, we want to give you an idea of ​​how you should decorate your living room with the vintage style so you do not make any mistakes. The first thing you should choose is furniture. If you already have them, perfect! The next thing you have to notice is the color of these. If they have a very dark color, you may want to change them. But do not worry, you do not have to buy new ones to give it a vintage touch. All you need is acrylic paint, preferably matte, sandpaper, sealer and ready. After sanding the furniture, and removing the new paint, place at least two layers of paint, the color you choose, but you must be careful and follow the color palette that we gave you previously. If you can not tell, choose white to match any secondary color you have chosen. Within our decoration is important decorative elements; these give life to any room and even more to an “old” style. The pictures and photographs are perfect for these spaces. But if you do not want everything to have this theme do not worry, you can use full color photos of the most special moments, and place vintage frames. These you can get at any store decoration, and often are in rebate. But if you do not want to spend a lot of money, then we will reveal a secret to you. With the same technique you used with your furniture, you can decorate your picture frames or photograph. Important! This will only work if the frames are made of wood. Those that are plastic are difficult to handle, usually, it is better to buy them already made. Do not be afraid of the size, you can fill a wall of photographs with different sizes and we are sure that it will look beautiful. Within the vintage decoration, lighting is very important; the ideal is that the spaces are very well lit. We recommend that, if you are going to use lamps for your living room or any place in your house, then use those that have an old style. 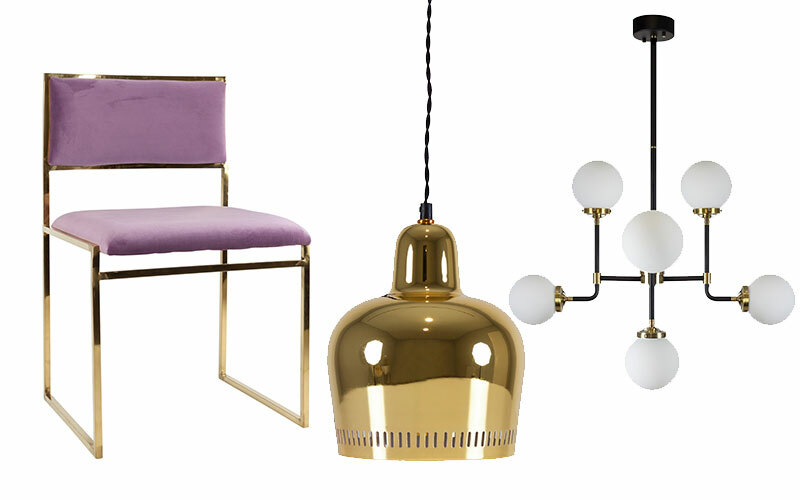 Whether you buy a floor or table lamp, the important thing is how they blend with the rest of the decoration. Keep in mind that the lamp shade should match the rest of the decoration. So combine them with the main color or create a harmonic contrast. Do not be afraid to try. A delicate point for many people. Hundreds of messages we have received because many people do not know what type of stamp to choose. It may seem a titanic task, but the truth is that it is not and should not be. When choosing fabrics, specifically for the vintage style, you should lean towards fresh colors and a little brighter than the pastel shades used in the rest of the decoration. However, not any bright color: the green, pink, sky blue and white tones are the ones you should choose. Also, do not use flat colors, always look for fabrics with prints; They can be floral, Parisian, and even navi, why not? As for the carpet, choose one that is wool, either with a neutral color, or with classic patterns. In the age of 30 and 40, plants were a MUST in homes, so you should fill your house with them. 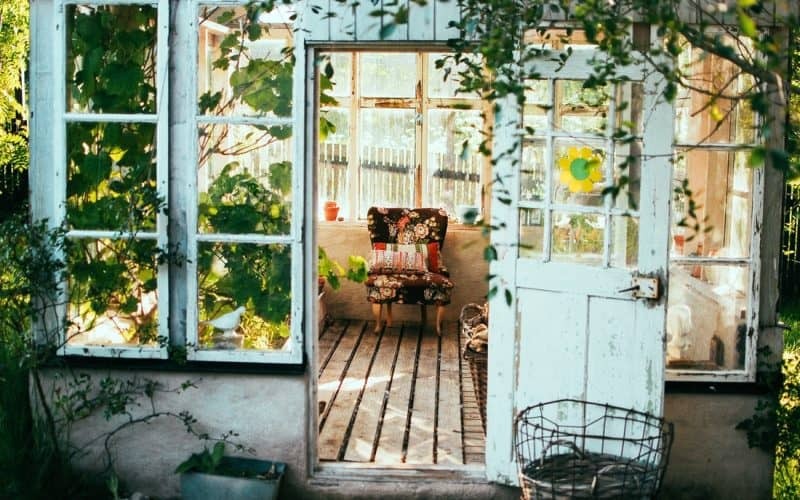 Choose plants that can survive inside the house and that do not require a lot of sun. Also, also, choose flowers and place them in vases, either at the dining table or at the night table in the room. The plants and flowers are characteristic of the vintage style, so do not forget to place them in your decoration. One of the most important rooms of any home: the bedroom. How can we include vintage decoration in the bedroom? It is very difficult? However, if you have to follow some details carefully. For example, it is important that the night tables are high and not so wide, if they are round much better, because it gives you that French touch that you like so much in vintage decor. Ideally, in this room the romantic atmosphere comes to light, so the wicker furniture is ideal for this space. Keep in mind that the bedding should be lace, if it is with a floral style much better. As for the colors, white, pink and green, in their pastel colors are important. And continuing with the floral theme, you can also include flowers and plants in this room. 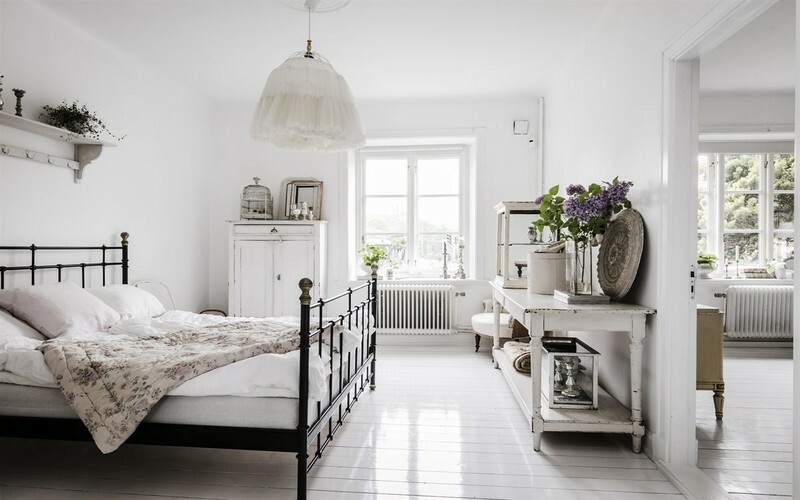 But, if you want a more modern and not so feminine room, then choose the white and light gray tones. And do not forget a trunk. You can place it at the foot of the bed or in a corner. You can store many things and, in addition, it can be used as a bank. The vintage style is for those people who are not afraid to take the old and place it in new spaces. You do not have to stay in the past, you can modernize your spaces and at the same time with vintage style. Just dare to experiment. Leave us in the comments any question you have and we will gladly answer it. It will be until next time.